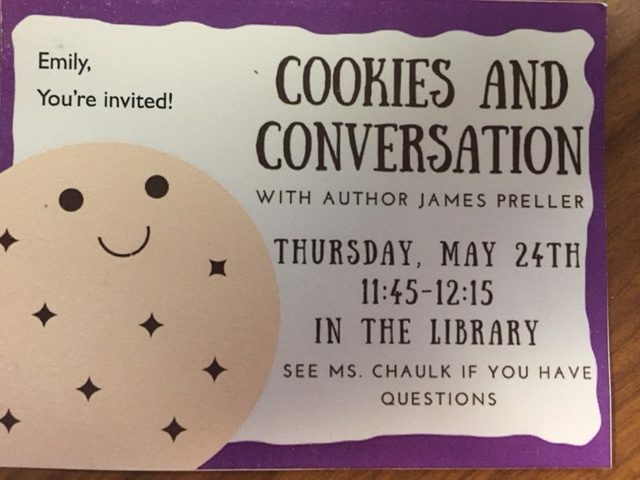 On school visits, rather than having lunch with students, I’ve come to prefer (and request) any sort of loose Q & A format — with, of course, desserts. You get the rare kids who’d rather hang with an author in the library than go out to recess. It’s always nice and often the conversation runs deep. Or not! Anyway, this particular librarian created and personalized these passes. She told me she uses and loves CANVA to create posters, etc. Finds it a pleasure to use.